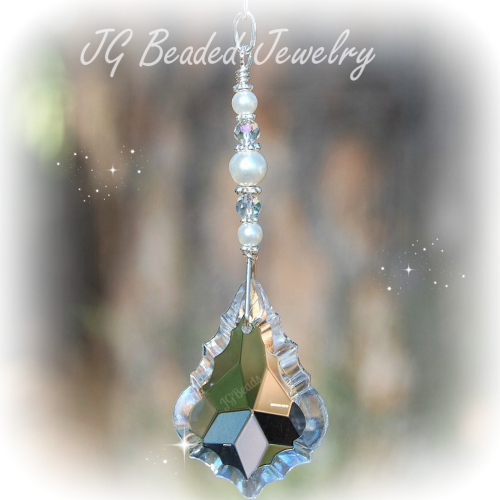 Topaz dragonfly crystal for the rearview or window! 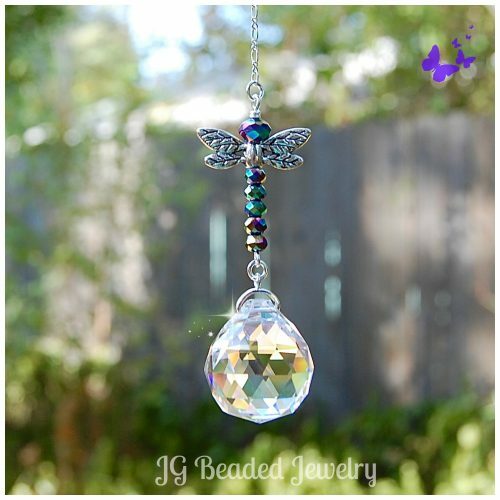 This topaz dragonfly crystal suncatcher is uniquely designed with a clear 20mm crystal ball, silver dragonfly wings and faceted light topaz color crystal beads. 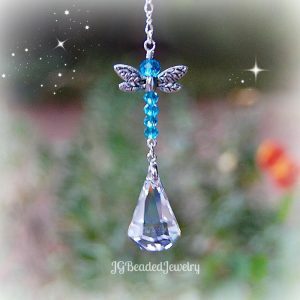 Dragonflies represent change and transformation. 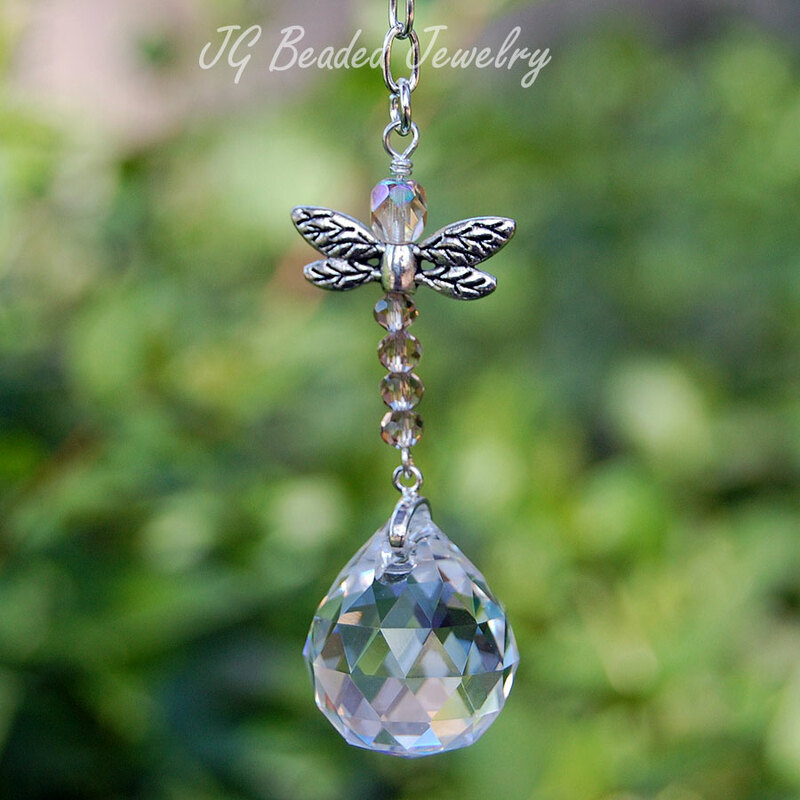 The dragonfly symbolizes peace, prosperity, good luck, strength, harmony and purity. The life of a dragonfly is short and reminds us to live our lives to the fullest. 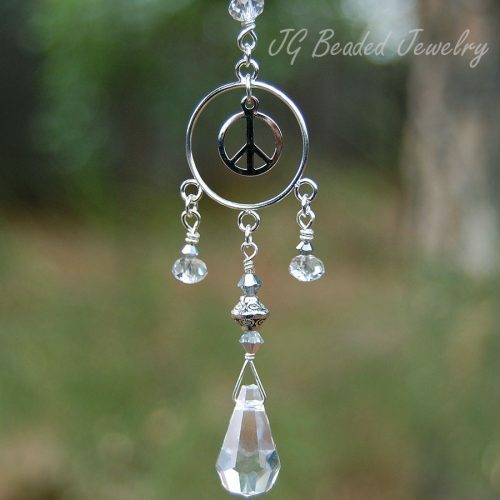 2) Home Decor – a six inch chain with ring for hanging in a window, porch, sun room or wherever you choose!